Following through on its promise, Nintendo is once again selling the popular NES Classic Edition in Canada on June 29th. In May, Nintendo Canada stated the retro gaming console will be “available through the end of the year,” however, Best Buy Canada noted there will be “Limited quantities.” The retailer will go live with online sales at 10:00am EST and will also have stock available in-store. Other Canadian retailers, such as Amazon Canada, Walmart and EBGames, are expected to offer the NES Classic on the 29th. The NES Classic comes with 30 pre-installed games, including The Legend of Zelda, Super Mario Bros., Donkey Kong, Metroid, and Final Fantasy. Nintendo shipped more than 2.3 million units of the NES Classic during its initial release. The NES Classic Edition retails for $79.99 in Canada. Update – June 29: Today is the big day. 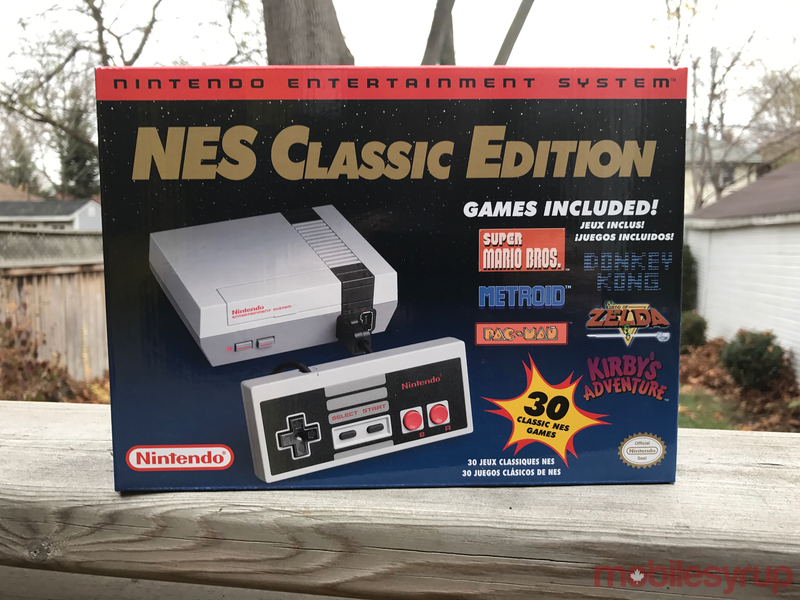 Several retailers are now open, including Walmart Canada, and have started selling the NES Classic Edition. Let us know if you scored one.